As consumers of PET* plastic bottled beverages such as water, carbonated soft drinks, fruit juices and an increasing amount of wines and other alcoholic beverages, little thought goes into how these beverages are packaged in different ways to ensure the preservation of the content. With the focus on the increasing popularity of packing wine and beer into PET bottles, Mpact Plastics makes use of various additives during the manufacturing process to ensure that drinks packaged in our PET bottles remain as fresh as when they were bottled. Depending on the characteristics of the beverage, various additives are mixed into the PET resin during the manufacturing process to ensure that the content remains unspoilt for the duration of its intended shelf life. External factors such as light, carbon dioxide and oxygen react differently with unpreserved products and hence additives are designed to combat the effects of these external factors on the beverage itself. This ensures the freshness of the content without necessarily having to add preservatives that will be consumed by the user. 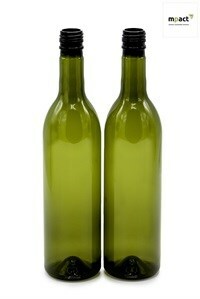 Beverages containing preservatives are less sensitive to package although factors such as carbonation still have to be considered. A consumer’s first experience with a brand is often through the perception they have about the product’s packaging. At Mpact, we ensure that the packaging is designed to create a positive brand perception, even before the product is consumed. Colourants, known in the industry as masterbatch, serves both a branding and functional purpose. Colour differentiates competitive products and product ranges whilst also developing a visual identity. Added during the manufacturing process, it aids in preventing degradation of content that is sensitive to visible light. By adding colour to the packaging, the wavelengths of the visible light are absorbed by the colourant, preventing it from passing through the packaging to the actual content. Darker colours such as amber offers improved light absorption compared to green but product perception often plays a role in the brand manager’s final colour selection. Superior content is ensured through the careful selection of additives, allowing the consumers to experience the beverages in the way that the brand owner intended for it to be. The most commonly used additives are UV stabilisers, oxygen scavengers and slip additives - all FDA and EU approved as safe for food, water and beverage packaging applications. UV stabilisers protect the package and its content from the damaging effect of ultraviolet sunlight. Exposure to sunlight can be harmful to the nutrients of UV sensitive products such as vitamins, fatty acids and lipids, especially in dairy based products, flavoured water, fruit juices and vitamin based drinks. UV exposure can affect the flavour of some products and can have a noticeable effect to consumers if the packaging does not provide sufficient UV protection during the product’s shelf life. Oxygen scavengers help to extend the product life by limiting ingress of oxygen and egress of carbon dioxide. 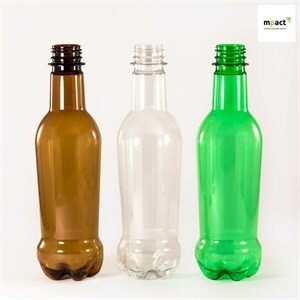 Oxygen scavengers are a popular option for Mpact manufactured PET bottles, used to package preservative free, organic and fermented products made from natural ingredients such as beer and wine. Together with an effective closure design, oxygen scavengers also act as a barrier to protect carbonated drinks. Amongst others, slip additives can be added during the manufacturing process to overcome challenges such as scuffing, releasing bottles from the mould and visible flow lines in the PET material. Together with a variety of other additives available, Mpact can ensure that products delivered to brand owners enjoy superior quality and promote the brand’s perception. 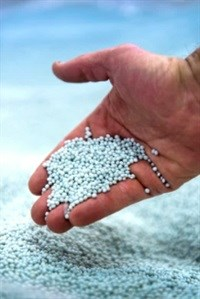 To gain an understanding of the manufacturing process of PET bottles, visit our Mpact Website, Plastics page on www.mpact.co.za/our-products/plastics-business and view the Two Stage Injection Stretch Blowmoulding video. PET additives used by Mpact do not affect the recyclability of the packaging product and allows Mpact to still give effect to a true circular economy by collecting used PET bottles, recycling it and re-producing PET packaging, using most of our recycled materials repeatedly. The extended protection of the beverages also reduces food wastage experienced by brand owners, further reducing the carbon foot print on the environment. Together with container lightweighting, it is our way of providing you and our planet with smarter, sustainable solutions. 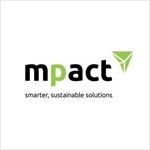 Mpact is a leading producer of rigid plastic packaging and cling film, producing a range of packaging and serving a multitude of blue-chip customers within various industries, including products for the food, beverage, personal care, homecare, pharmaceutical, agricultural, industrial and retail markets. *PET: a lightweight and fully recyclable clear plastic grade that can withstand temperatures of -40 to 70 degrees Celsius and is identified by recycling code 1.